Life is more simple and easy day by day as a result of technology, I'm sure most of us are already know our way of performing bank transactions with our Smartphones through GPRS. Now you don't even need to have browsing phone or megabytes before you can perform some bank transaction. 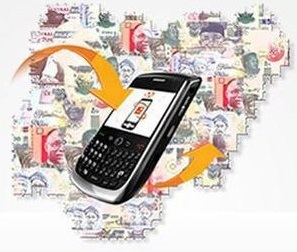 Irrespective of your status or phone type that you are using, you can now send instant money transfers, pay for your bills or airtime top up directly from your mobile phone by simply dialing the specified USSD ShortCode (Firstbank and GTBank Customers only). I know some people have been using it for a while, but I'm sure that it will still be a benefit for some fans who are not yet aware of it. » Dial *737*1*Amount*NUBAN Account No# e.g. *737*1*1000*1234567890# from the mobile number registered with the Bank. » Enter last four digits of your GTBank Naira MasterCard to authenticate the transaction. » Dial *737*2*Amount*NUBAN Account No# from the mobile number registered with the Bank. » Enter last four digits of your GTBank Naira MasterCard. » Wait for the transaction to be completed. » You will receive debit alert once the transfer is successful. NOTE: GTBank transfer charges are applied. The account name of recipient will be displayed for you before you enter the last four digits of your debit card. This lets you verify that you're not sending money to a wrong account. If you're using the same phone number on your Savings and Current Account, your current account will be debited. Also note: The *737* Transfer service is only available to GTBank customers via their mobile phone numbers registered with the Bank and has a minimum transfer limit of N1,000 and a daily transfer limit of N20,000. » To transfer money, simply dial *894# and select 1; dial *894# and select 2 to withdraw money, dial *894# and select 3 to make purchase; dial *894# and select 4 to pay bills; dial *894# and select 5 to buy airtime; and dial *894# and select 7 to manage account. Note: With this FirstBank platform, you can transfer money, buy airtime and pay for your DSTV or PHCN bills. Have you tried any of this? Is it working for you?